Silk and cupro skirt made, cellulose fiber very similar to silk. 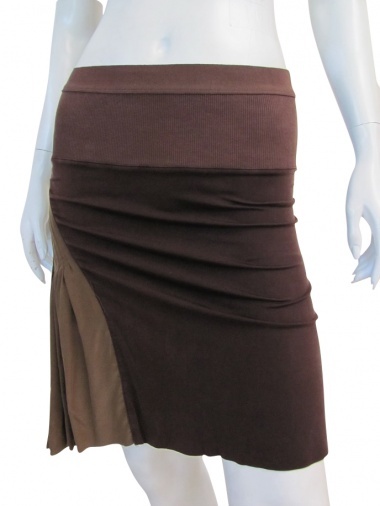 The quilted diagonal insert in the waist creates a natural drapery. Ribbed band in waist complete the modern look.